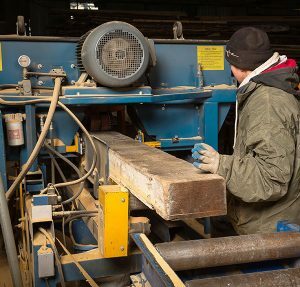 Our Services - Reclaimed Lumber New York | M.Fine Lumber Co. Founded in 1933, M. Fine Lumber Company has been recycling lumber in New York City for over 85 years. 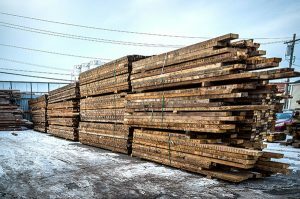 We are the leading supplier of reclaimed wood in the tri-state area, servicing architects, designers, and the general public with locally salvaged lumber. As Is – Lumber straight from a demolition site. You get the wood in its salvaged form right from our lumber yard, original nails and all! Surface Cleaned – Removal of nails on the outside of the lumber, but not totally de-nailed. Denailed – Removal of all nails, bolts, etc. & checked with a metal detector. This is required for milling or dressing lumber to ensure no blades are damaged when processing the wood to a new dimension. Re-sawing & Ripping – On our vertical band saw, we can mill your lumber to any size you need. Planer – Our 4-sided planer is used to dress lumber smooth to accommodate various different projects, flooring, paneling etc… We can even dress the reclaimed lumber to specific dimensions. Deliveries are made Monday through Friday between 7am and 4pm. We offer curbside delivery anywhere in New York City. For an additional charge, we also can supply you with a boom service, where our experienced drivers will lift/boom lumber off of the truck and drop it on your job site or on the sidewalk, to make unloading easier.